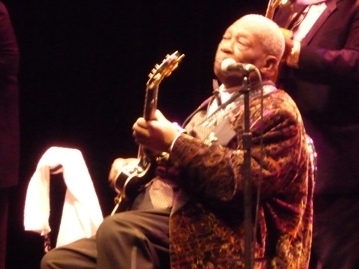 BB King - Melbourne Concert Review April 16th 2011 - SY Music - Music Lessons. Consulting. Music Production. In 1988, I listened to a song called “When Love Comes to Town”. The song was on U2’s album called Rattle and Hum and it was a duet with a guy called BB King. I loved the sound of the guitar playing and from that time on I’ve been a big fan of the Blues legend BB King. Last night I got to see one of my favourite guitar players in concert. 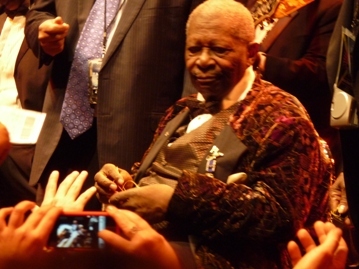 BB King walked on the stage at Hisense Arena to a standing ovation. He waved and greeted his fans. He threw out guitar picks to the audience and then sat down. One of his assistants gave him Lucille, his famous guitar and from there BB King began to introduce each member of his 8 piece band. For each player he told a little story and then they played a solo. Now don’t get me wrong I love listening to brilliant musicians but this part of the show felt like it went a little too long….especially at the start of a show. The banter between BB King and his band and the banter between BB King the people in the 1st few rows was funny and relaxed. The King of the Blues, BB King. Photo taken by Steve Yanko. After the band introduction, BB and his band played a nice slow blues. BB King’s voice still sounds amazing. His voice is so powerful that for the big notes he simply moved away from the microphone and you could still clearly his voice. When he played his first solo the crowd applauded because for many of us, this is what we wanted to hear. He then played a song called “ See That My Grave is Kept Clean” which stylistically didn’t sound like blues but rather a Cajun shuffle. Again, wonderful singing but a lot of banter between BB King and his band. This banter between verses and chorus extended the song. He played the classic blues song “Keys to the Highway” and again his voice and guitar playing was fantastic even though I would have liked his solo to go on longer than it did. Eye contact with BB King. Photo taken by Steve Yanko. BB King livened up the night by playing “When Love Comes to Town” but he only played one verse and a chorus. He played a short solo and before you knew it the song was over. I thought this was going to lead into a medley of some sort but it didn’t. There is no way that BB King could do a show (especially in Australia when we have not seen him here for years) without doing his hit “The Thrill Is Gone”. The arrangement the band played on Saturday night was fantastic. It had more of a funk groove but BB King’s singing and playing kept it in the blues style. This song sounded great but again the song was cut short. At the end of the song the audience applauded loudly…afterall this was the blues master playing his signature tune. Fortunately, he played one of my favourite songs of all time, “Guess Who” but again he broke the song up with a little bit of talking and then got back into the song to finish. The band began a jazz groove and BB King began to sing “When The Saints Go Marching In”. This lively arrangement was great and included BB King playing a few solos on top. He got the Melbourne audience to sing along and we did. When BB King gave his band the signal to quieten down, they did so that he could hear the audience sing. When he wanted the band playing with their full force he gave another signal. Then BB King said “goodnight” stood up and the audience applauded. Many people ran to the front of the stage to take photos and ask for autographs. BB King sat down again and began to sign autographs and started to hand out what appeared to be gold chains. BB King giving gifts to his fans. Photo taken by Steve Yanko. I ran to the front of the stage and took many photos. I tried to get as close to BB King as possible just so that I could shake his hand and say “thank you for teaching me how to play the blues” but it was difficult. The best I could do was make eye contact and give him the peace sign. While this was happening the band continued to play and 2 of his assistant/minders stood next to BB King while he continued to sign autographs and give out the small chains. When there were no more chains to give out BB King stood up. His assistants helped him to put on his coat (very fancy) and he put on his hat and he waved goodbye. When he walked off the stage the band stopped playing and they started to pack up their own gear. That, my friends, was the end of the concert and it felt like it was only an hour long. 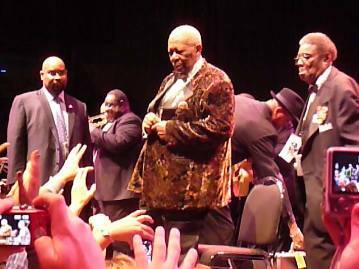 BB King farewelling his fans in Melbourne. Photo taken by Steve Yanko. For the last few days I’ve been reflecting on this concert and I have mixed feelings. I am happy that I got see the legend BB King but I also feel that the concert was too short. Furthermore, I also felt a little bad for the people with the seats at the back and sides of Hisense Arena because there were no video screens for them to get a closer look at what was going on stage. Hisense Arena is a large venue and video screens should have been used. Furthermore, there were a few technical glitches during the show but these were not BB King’s fault. For instance, during the show the houselights came on. I’ve never seen this happen at a concert unless the artist asks for it like Prince usually does. In regards to the songs played in the concert I can’t really complain but as I have stated earlier I (and I am certain the thousands of people who attended the concert would agree) were expecting a longer show. BB King has a huge repertoire and he could have easily chosen more songs to play but for whatever reason, it was a concert that was too short. Was this agreed to by the promoter and BB King’s management? If so, many people I know have who attended the gig feel a little ripped off. 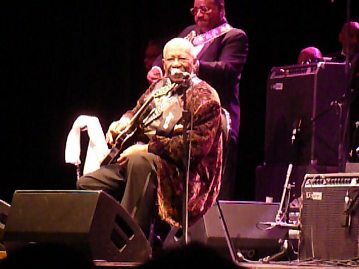 20 years from now I will reflect on the fact that I saw BB King in concert and I will always say that he was a great player, vocalist and a huge musical influence on me. But my memory of this concert will always be tainted by the fact that the concert was too short. 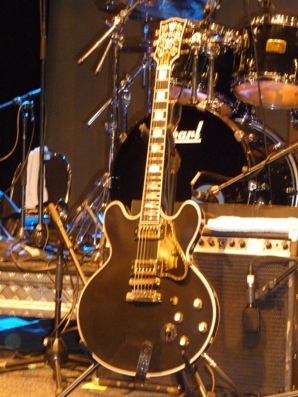 BB King’s famous guitar, Lucille. Photo taken by Steve Yanko. 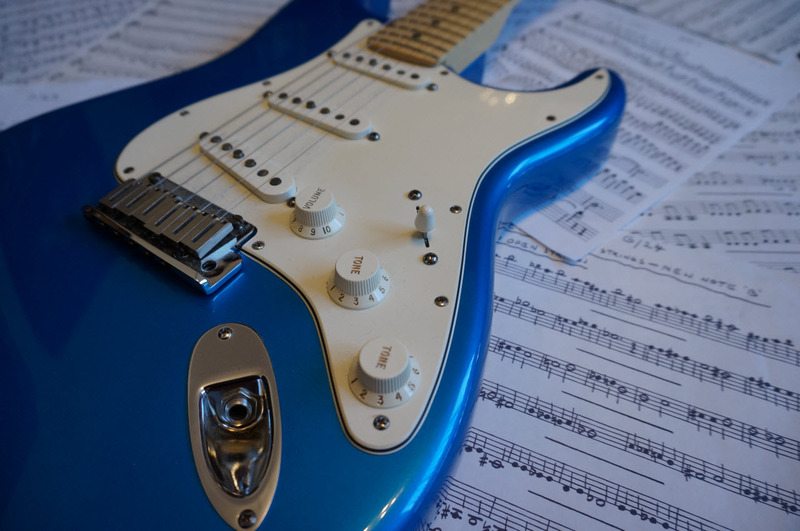 Steve Yanko is a Music Teacher, Musician, Song Writer & Consultant who loves working in the world of music.